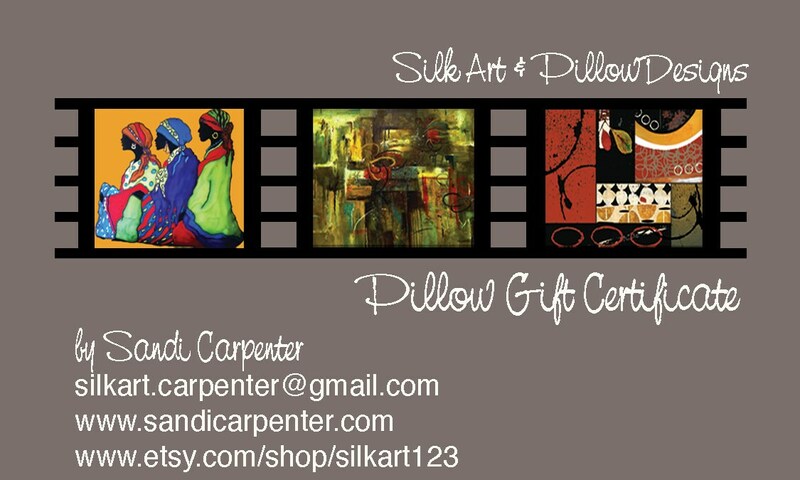 Give a gift of a pillow and allow the recipient to come to my site and choose the pillow that fits their home. I can either make a pillow to their choosing, within the same budget of the gift certificate or they can choose a pillow off my site and simply send me an email indicating which pillow they would like. Simply add a note to your purchase, indicating the recipient's name and their number so that I may contact then directly with their options.